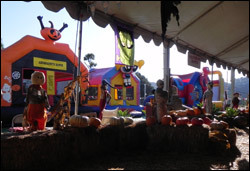 We are a family owned, local North San Diego County- based business celebrating the best in party rentals for over a decade. We take pride in providing on- time delivery of safe and clean party rentals, party jumps, and all other party needs for your special event. We consistently deliver the best in products and customer service. This is especially evident with our long term relationships with city parks, civic organizations, non- profits, and corporations. We provide the best in party rentals-- from small backyard parties to large corporate events attended by thousands. Our prices are very competitive and we are happy to work out special pricing as needed. We strive to be the leader in the industry, and pride ourselves on being known for the best in party planning with safe, clean, high quality party equipment and services. We are a respected source for parties at parks throughout San Diego County. 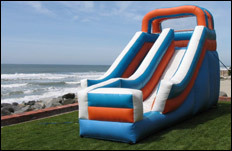 Bouncetime Jumps is well known throughout San Diego County for compliance with city parks. We are insured and licensed for delivery to community and city parks throughout San Diego County. Each city has its own requirements for permits, insurance, and licensing prior to delivery of party jumps, and these requirements are strictly enforced.